Our Vicrez rear diffuser enhances the original body lines of your c7 while still maintaining its look. This functional rear diffuser brings out the curves of your Corvette C7 with its new modern design and an elegant distinctive touch. Vicrez aerodynamics parts are designed using the car's 3D Scan Geometry CAD data in order to ensure a precise fit. They are injected molded polyurethane ensuring a perfect final product with top quality finish and superior strength and long lasting durability. This new modern aerodynamic design part features a more slightly aggressive bringing out the curves of your Corvette C7. Vicrez manufactures their polyurethane parts here is the USA. This allows Vicrez to offer a high quality control and ensure a great product. These parts are constructed with a high grade polyurethane material. Polyurethane it is considered an extremely strong material known for its light-weight construction, gloss and toughness - making it perfect impact resistance products to endure the risks of regular driven vehicles. This rear diffuser ships unpainted. Vicrez always recommends professional installation of all body parts. We also recommend test fitting these products before they are painted or any modification. Please note at this time we are taking pre-orders. 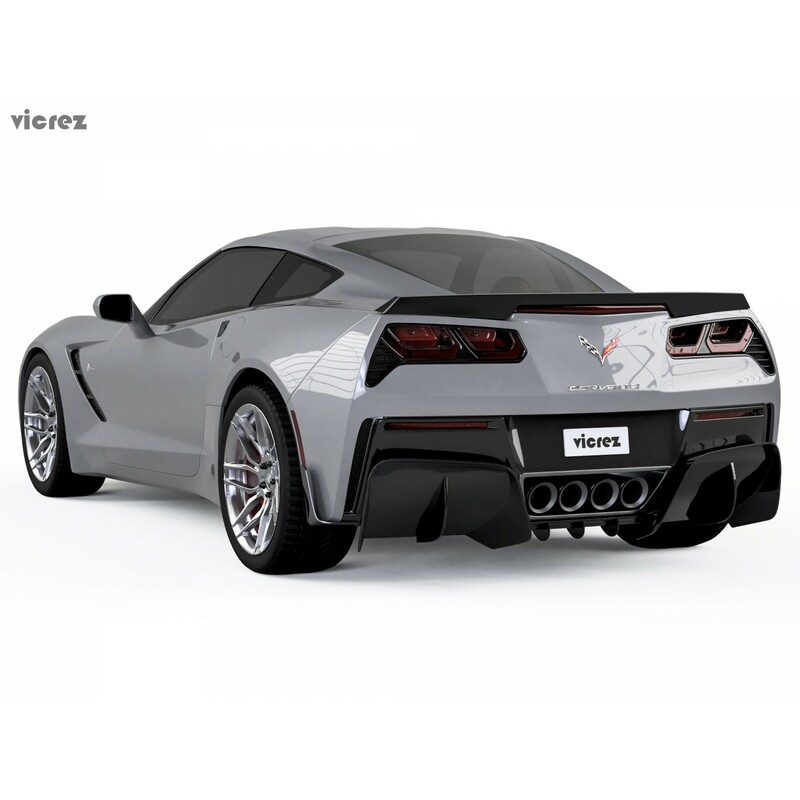 Reserve your Vicrez Vesper Rear Diffuser for your Corvette C7 today. This item will be released on March 14, 2019. Vision X Lighting 0.75" POLISHED BILLET TUBE FRAME MOUNT 4006492Fitment Notes:Universal FitShop for..